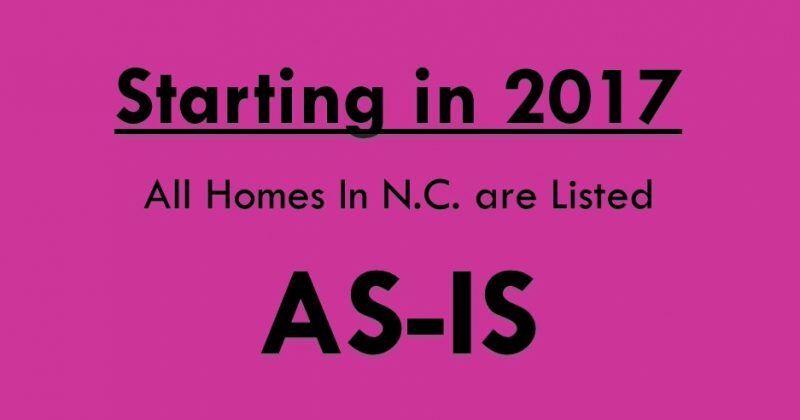 Did you know homes sold in North Carolina are AS-IS? THEY ARE!! — But don’t confuse car sales AS-IS with home sales AS-IS. Home Buyers have a “SUPER POWER” clause known as due diligence which allows buyers to cancel a home sale contract (offer to purchase agreement) within a specific period time, known as the due diligence period. Home Buyers can cancel the contract for ANY reasons during this period by paying an upfront fee to the sellers. The fee is negotiable, so sellers should think about the risk/reward to determine how much money they want to request from the buyer OR the duration of the due diligence period. Buyers are expected to undertake several tasks for their protection during Due Diligence period, including but not limited to loan approval, survey, HOA document review and inspections. During the due diligence period, buyers can REQUEST that sellers resolve any issues they have been found; however, home sellers are NOT obligated to comply. Seller is not required to do any repairs and the buyer must still proceed with the purchase of the house or be at risk of being in breach of the contract. Once the due diligence period is complete, the buyers must go forward with the sale or be at risk of being in breach of the contract. The sellers; however, do not get a waiver from their responsibilities. Sellers are required to meet certain obligations before the closing including but not limited to providing; clean title, providing reasonable access to the house for follow-up appointment and inspections, completing any home repairs that may have been negotiated, as well as releasing information to authorized 3rd parties such as mortgage companies and attorneys to obtain information to sell the house. If the seller does not comply, they could be in breach of the contract and could be required to refund any money the buyer has provided and/or additional penalties. If you are thinking about selling your home, it is worth reviewing paragraphs 4 and 8, of the N.C. Realtors, Offer To Purchase agreement, so that you understand your rights and obligations in North Carolina regarding due diligence. If you are looking for a Real Estate company to help you purchase or sell your home, gives us a call. We would love the opportunity to work with you.